Stick insects in the Australian National Insect Collection, showing a specimen collected from Lord Howe Island around 80 years ago (left) and a captive bred stick insect originating from Balls Pyramid (right). Black rats are the villains in many stories of disease and destruction. And on Lord Howe Island in 1918 it was no different. Arriving following a shipwreck, rats swiftly chewed through the island’s iconic stick insect, Dryococelus australis, wiping it out within a few decades. 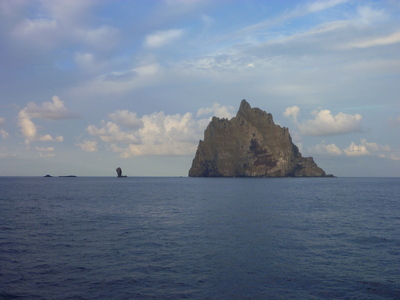 But the Lord Howe Island stick insect is famous for clinging to existence on Balls Pyramid, a spectacular rocky islet 20km away from the island. In 2001 a survey of Balls Pyramid revealed a few of the insects feeding on a tea-tree on a terrace 65 meters above sea level. A year later, another survey discovered 24 insects living on the same terrace. Researchers collected some of these individuals for further study. 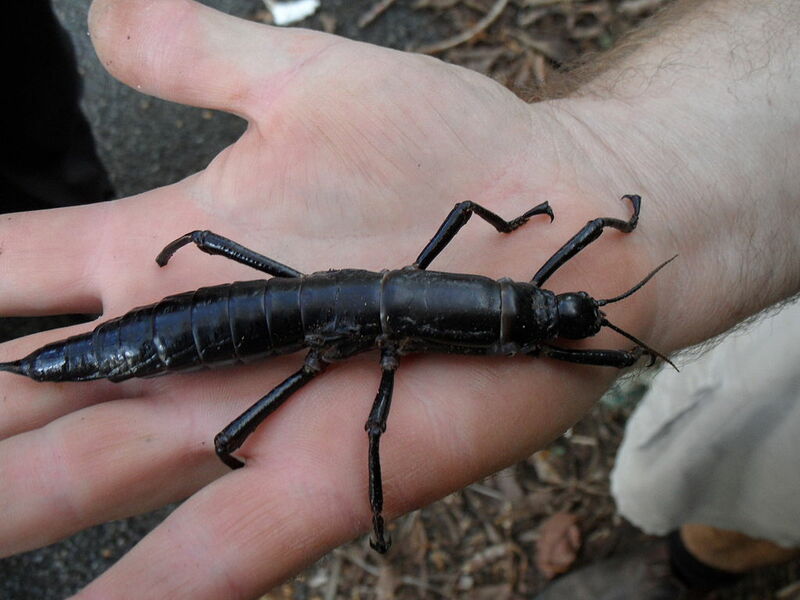 But the question still remained: were these the same Lord Howe Island stick insects thought to be extinct? 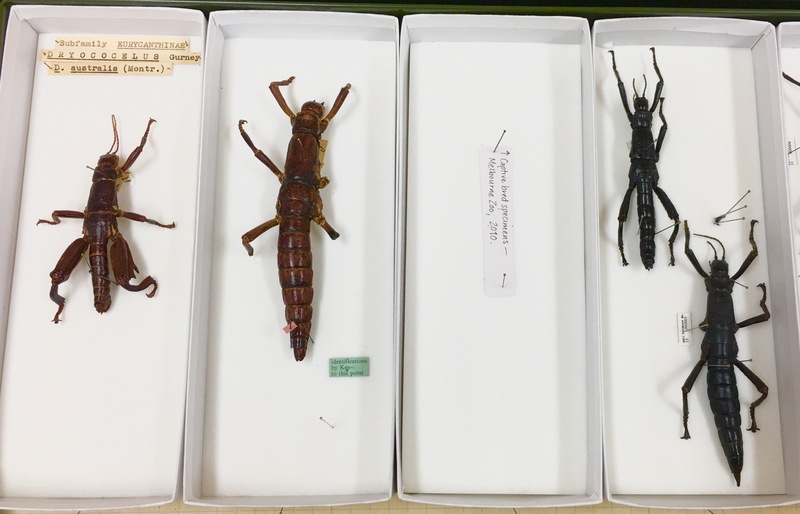 At the Australian National Insect Collection in Canberra, we hold two Lord Howe Island stick insect specimens that were collected from the island around 80 years ago, before the ship rats caused their presumed extinction. Since that time captive breeding programs at Melbourne Zoo, in Europe and in North America, and efforts to eliminate rats on Lord Howe Island, have raised hopes that the Lord Howe Island stick insect will soon be successfully reintroduced to its native habitat. But as you might have noticed from the photo, the Lord Howe Island and Balls Pyramid stick insects are quite different in their looks. So Professor Alexander (Sasha) Mikheyev of Okinawa Institute of Science and Technology Graduate University led a study with us and Melbourne Zoo to find out whether the Balls Pyramid stick insect really is the same species as the Lord Howe Island stick insect. “The old specimens from Lord Howe Island are not only lighter in colour but they tend to be more robust in shape. The captive bred specimens descended from the Balls Pyramid population are darker and very slender, with thinner bodies and thinner appendages,” Sasha explained. This is great news for the Lord Howe Island stick insect, a species no longer lost in time, but alive and almost ready to go home. Sasha points out that the research study’s success is important for more than just the stick insect’s continued survival. For example, it demonstrates how, with next generation sequencing technology, collections have become gold mines of genetic data. Whereas in the past researchers could do little more with specimens other than observing them, or risking damage them with more in-depth studies, they can now sequence entire genomes of long-lost species. We're the custodians of a number of specimen collections that are vital resources for conservation. Amazing that such collections have not themselves gone extinct like most other historical collections in abandoned public service institutions and libraries. Today there are around 60 million natural history specimens held in Australian collections (at CSIRO, universities, museums, herbaria, etc.) and these specimens have a very active role in allowing our biodiversity to be described and protected (e.g. by comparing weed seeds or potential pest insects found on cargo at our ports). I think the really exciting thing is that new technologies in digitisation and genomics means collections are more useful for research, conservation, and understanding biodiversity than ever before.